PARKING: From the route 3 / route 302 intersection in Twin Mountain take route 302 east for 2.2 miles. Turn onto Zealand road at Zealand campground and follow it 3.5 miles south to a large parking are at the roads end. WINTER PARKING: Zealand road is closed from mid-November to mid-April. Anyone who wishes to access the Zealand trail must park at a snowmobile parking lot on the north side of route 302 2.5 miles from the route 3 / route 302 intersection. This will add an additional 3.5 miles (each way) to the hike. This was a winter hike requiring me to park at the snowmobile parking area on the north side of 302. It's a 0.3 mile road walk along route 302 to Zealand road then a 3.5 miles walk on Zealand road to the Zealand trailhead. 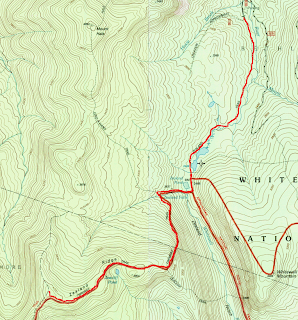 The Zealand trail is a relatively easy gateway trail to the northern end of the Pemigewasset Wilderness. It follows a railroad grade the departs following a rough and rocky section of trail before returning to the railroad grade a short distance before paralleling the west bank of the Zealand river. The trail passes through a marshy area of beaver activity crossing a long footbridge before returning to the grade. At 2.3 miles the A-Z trail enters from the left. the Zealand trail ends at 2.5 miles with the junction of the Ethan Pond Trail and Twinway. The Twinway ascends steeply up rocky steps 0.2 miles to Zealand Falls Hut. A short side trip to the falls is definitely worth a visit. Continuing past the hut the Lend-a-Hand trail exits to the right and trail ascends moderately through a birch forest to the ridge. At 1.5 miles a spur trail exits left and leads to the passing Zeacliff outlook before returning to the main trail. Ascend several granite ledges then rise and fall over several ups and downs as the trail continues along the ridge. A cairn at 3.1 miles marks a short spur trail leading to the right and 0.1 miles to the Zealand summit. Well done! 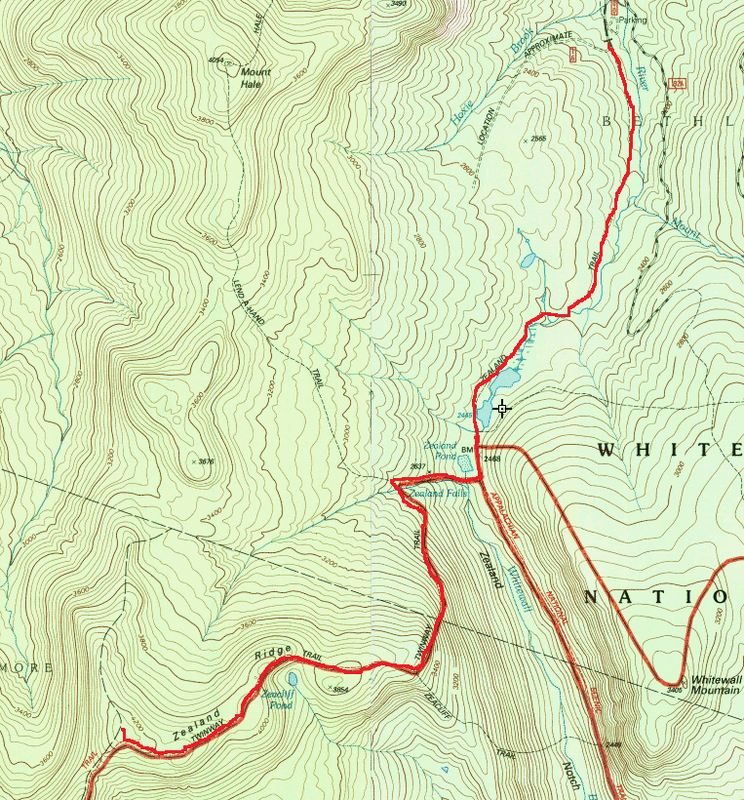 At 4260 feet, Zealand Mountain is the 31st highest peak in New Hampshire. There are good views of Carrigan notch from the marshy bridges on the Zealand Trail and several outlooks towards the cliffs of Whitewall from the Twinway trail. The Zealand Mountain summit has no views and has no official markings other than a summit sign. My camera batteries weren't cooperating with the cold temperatures and I have very few pictures of this adventure. HockeyPuck and the Zealand Mountain summit sign.